Now in its 41st year, Carols by Candlelight has become a favorite for Powell River audiences. The evening is magical as choirs, supported by the sound of the great organ, sing carols "old & new" as they surround this historic hall glowing by candlelight. 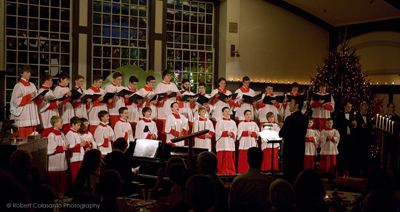 Ed Norman's resplendent organ technique, timing, articulation and innate sense of perfect registration have been entertaining Powell River audiences since the early years of the Boys' Choir. Edward Norman studied at the Royal College of Music, London, principally under Harold Darke, winning the Haigh Prize for organ performance. He later continued studies with Hugh MacLean at the University of British Columbia. Some years later he - in turn - became Organ Instructor at UBC, and at Trinity Western University. For many years he was organist for the Vancouver Symphony Orchestra. As a recitalist he has appeared widely in Canada and has performed frequently in the USA, including the 2010 Piccolo Spoleto Festival in Charleston, SC. He has played in Poland, Germany and at Cambridge University (Fitzwilliam College). He has appeared in the Vancouver International Festival, and the Janácek Festival in Tokyo with the YNSO. Again with the YNSO, he performed the Saint-Saën’s Organ Symphony under the direction of Claus Peter Flor. He has been heard frequently on CBC radio as a recitalist, continuo player and accompanist. Mr. Norman has held major church music positions in North America including St. John's Church, Vancouver (formerly St. John's Anglican Church, Shaughnessy), First Presbyterian Church of Pittsburgh, St. George's Cathedral, Kingston, Ontario (2005-2009) and - until 2011 - St. Michael's Church, Charleston SC. Edward Norman was a music producer with CBC radio for ten years, including two years as Executive Producer of the popular drive-home program, Disc Drive. After leaving the Corporation he established his own professional recording business, which he continues to run. Two of his projects have been nominated for awards, and he has had the privilege of working with outstanding Canadian and international artists. 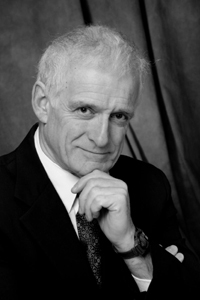 His greatest musical delight is performing with other musicians, and Edward has enjoyed the privilege of working with principal musicians in each city in which he has lived, including leading Vancouver musicians, members of the Pittsburgh Symphony Orchestra, the Kingston Symphony, the Charleston Symphony and a variety of international soloists, ensembles and conductors. Edward is married to Susan, and they have three adult children.